Time for awards at the 2010 Western US Oireachtas. My daughter is onstage, lined up with all the other dancers, listening and hoping her name isn’t called too soon. Then the announcement: The remaining dancers qualified for Nationals! And so begins the preparations: Nationals prep classes, ordering a new dress, making hotel reservations, making plane reservations, requesting vacation time at work. Does she need a new wig? Shoes? Should we hope for a recall? We check into the Gaylord Opryland hotel in Nashville and receive our wristbands. All around us, we see kids carrying large, wedge-shaped bags, just like at the Oireachtas. There’s even a Sikh wedding going on in the hotel, just like at the Oireachtas! After we drop our own wedge-shaped bag in our room, we go down to the ballrooms to see what was going on. There’s a registration line, a place to buy programs, a T-shirt vendor, lots of other vendors. Girls in springy wigs and boys in snazzy vests are dancing in the hallways, practicing anywhere they can find room. Just like at the Oireachtas, only the space is bigger and there are more people. The next morning, after an early breakfast, we go to the ballroom for my daughter’s competition. The ballrooms are large and people have set up camp, claiming several chairs each for dress bags, shoe bags, make-up, and all the other paraphernalia. We chat with the families sitting in front and in back of us, while my daughter and her TCRG warm up and put finishing touches on make-up. Just like at the Oireachtas. The stage managers call for the dancers to check-in and pick up their numbers. Just like at the Oireachtas. Then the dancing begins. And it’s not at all like the Oireachtas. Here are the best dancers in North America and even some from overseas. The technique and choreography and skill level are orders of magnitude beyond what we see at the Oireachtas. It was amazing and wonderful to watch. No, my daughter didn’t recall, but she wasn’t too disappointed. It was a great experience, just to be there, seeing some terrific dancers, being part of the excitement. Now she knows what to expect for next year! 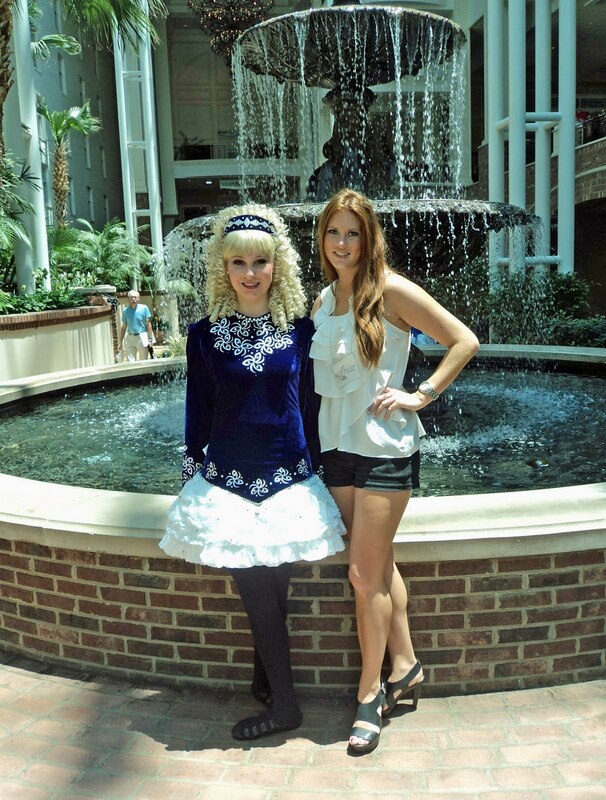 Did you experience the North American Irish Dance Championships for the first time this past July as well? Share your thoughts in the comments below.